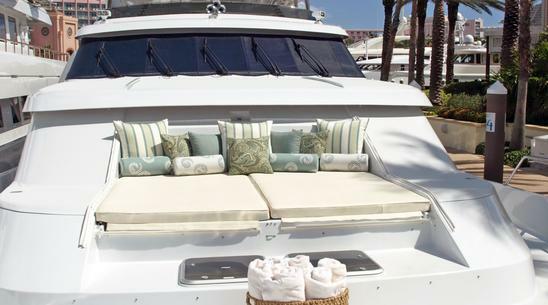 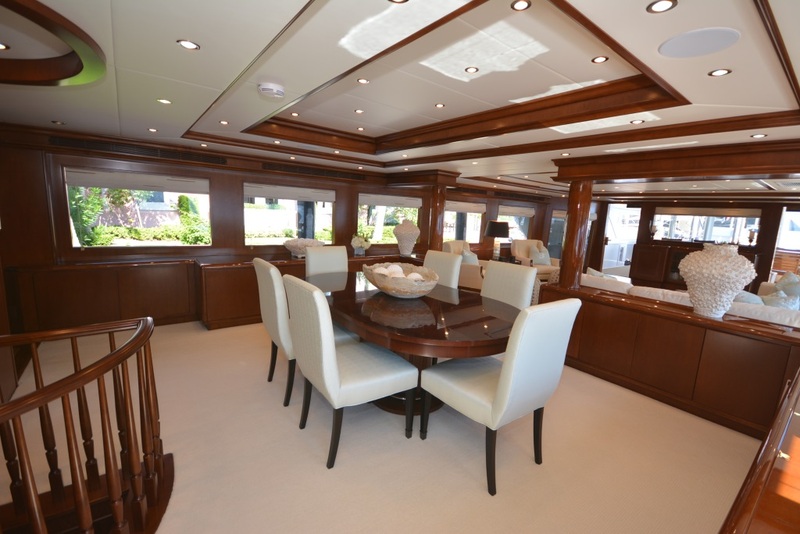 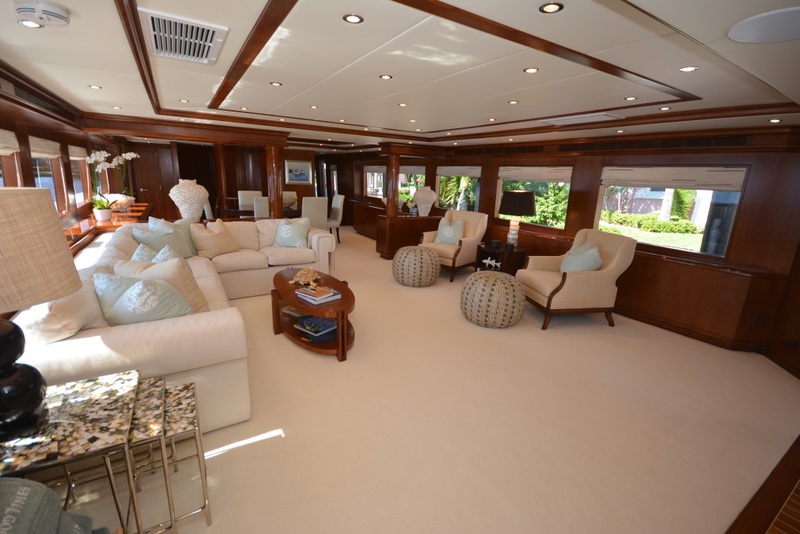 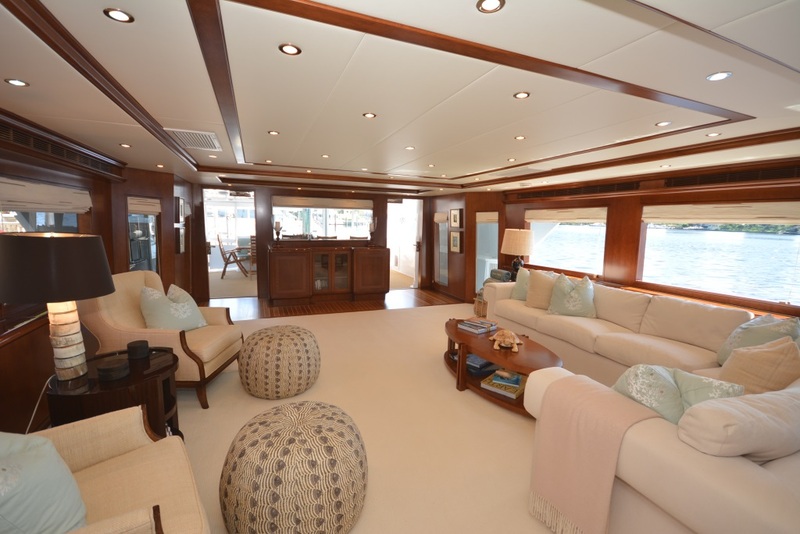 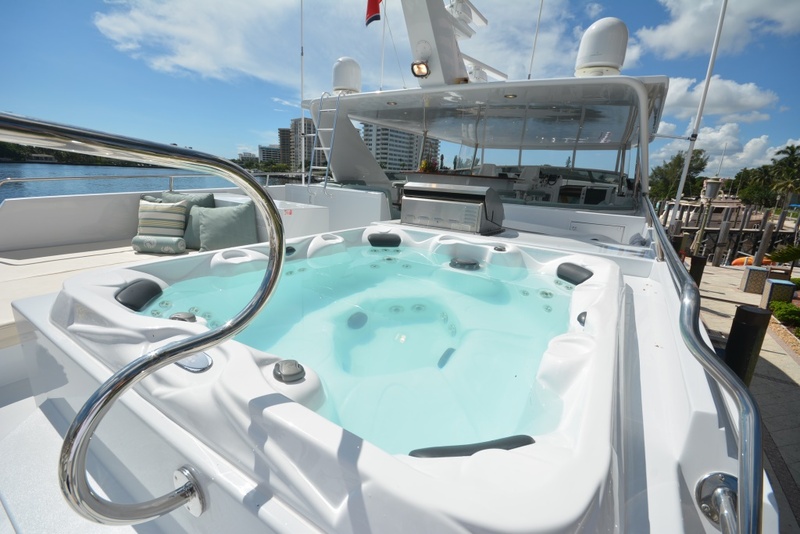 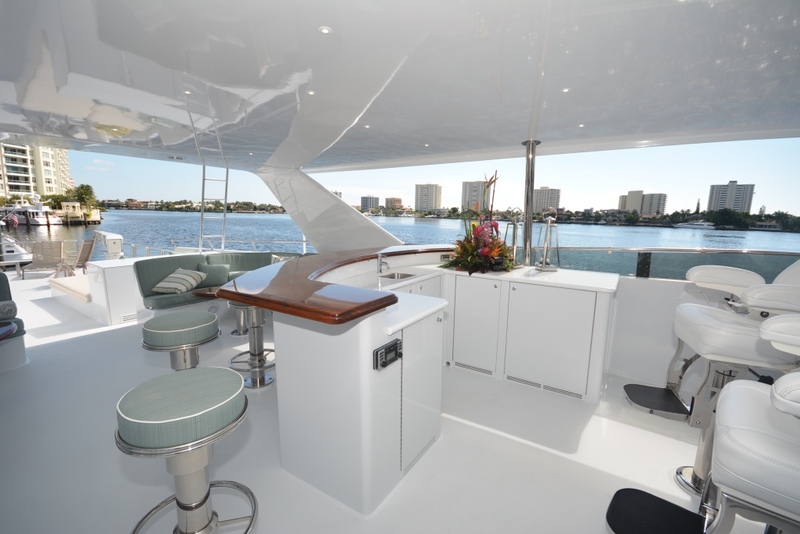 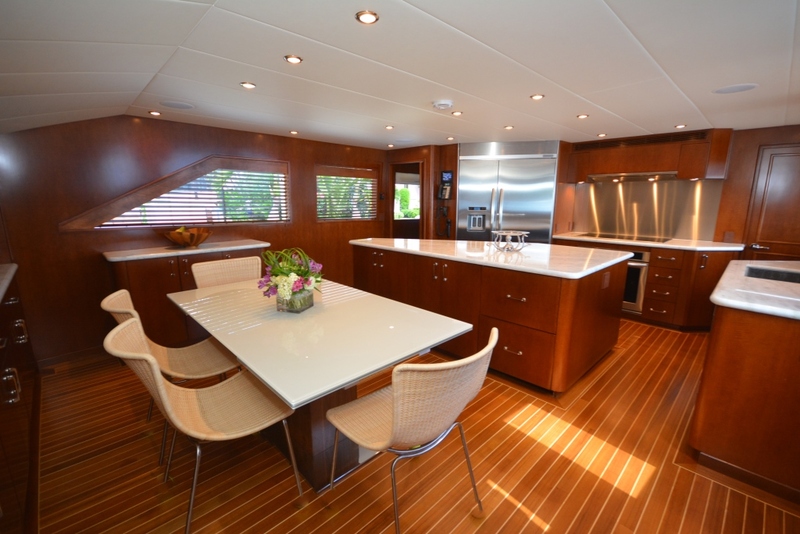 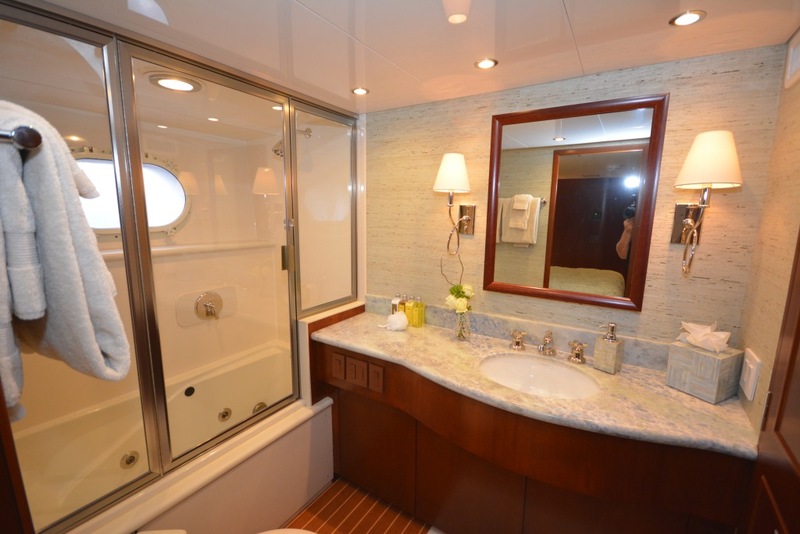 ‘Good Times’ is a 114.01ft /34.75m motor yacht, custom built in 1996 by Hatteras and last refitted in 2010. 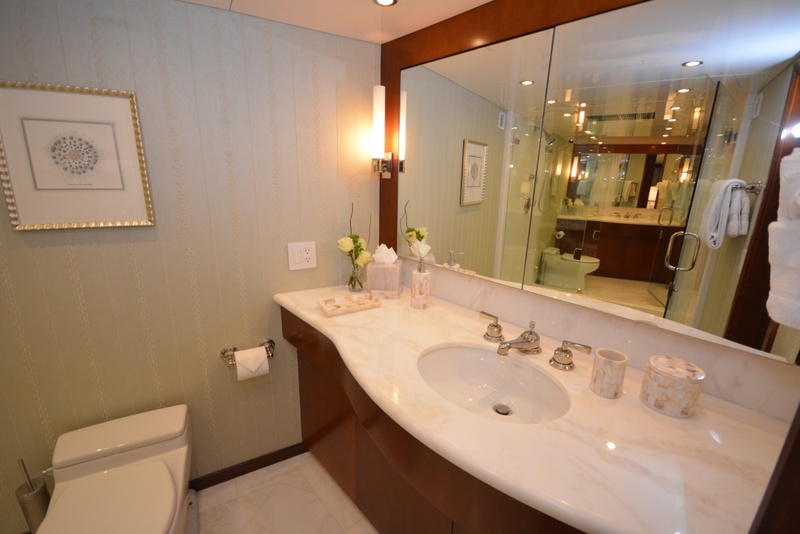 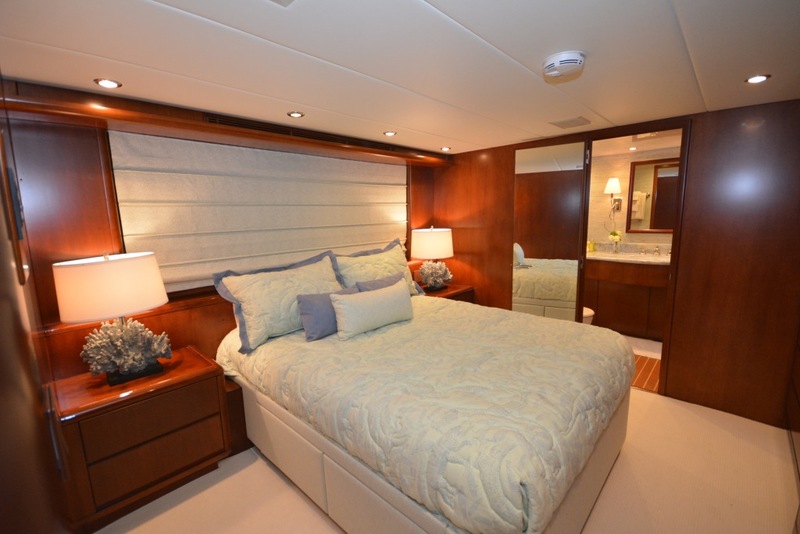 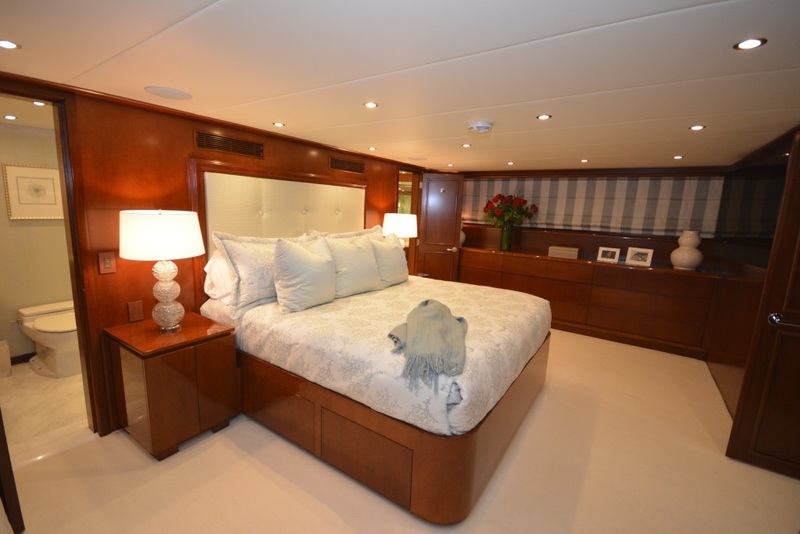 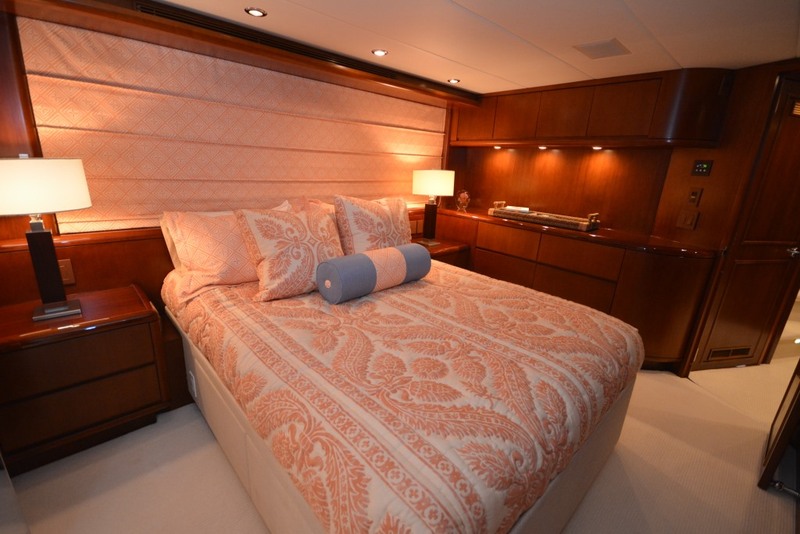 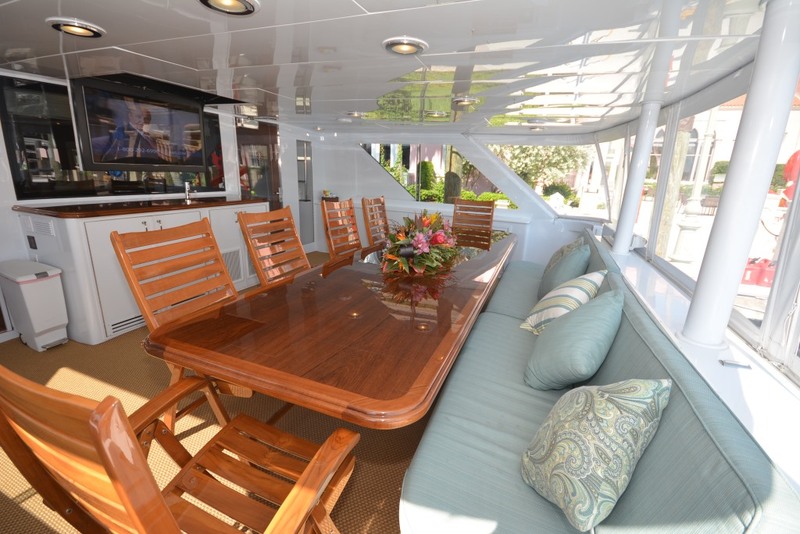 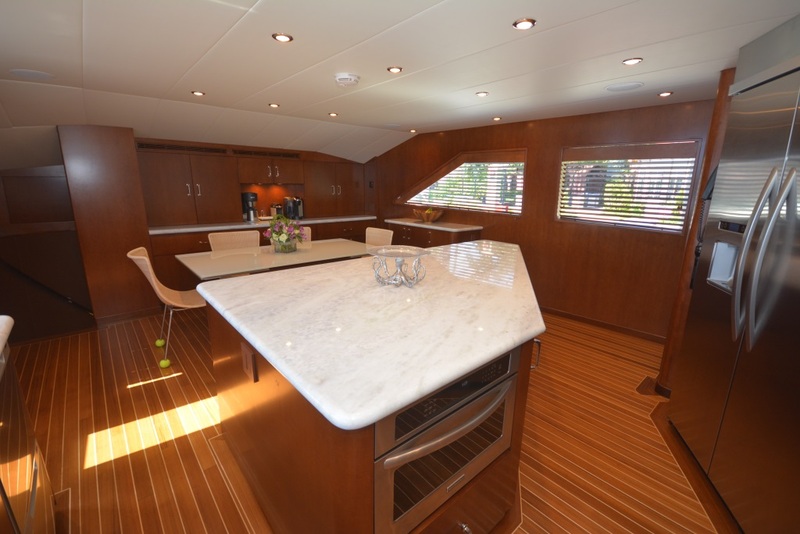 The vessel was previously named Lady Dorothy, and her luxurious interior is designed by Dee Robinson Interiors and her exterior styling is by Jack Hargrave. 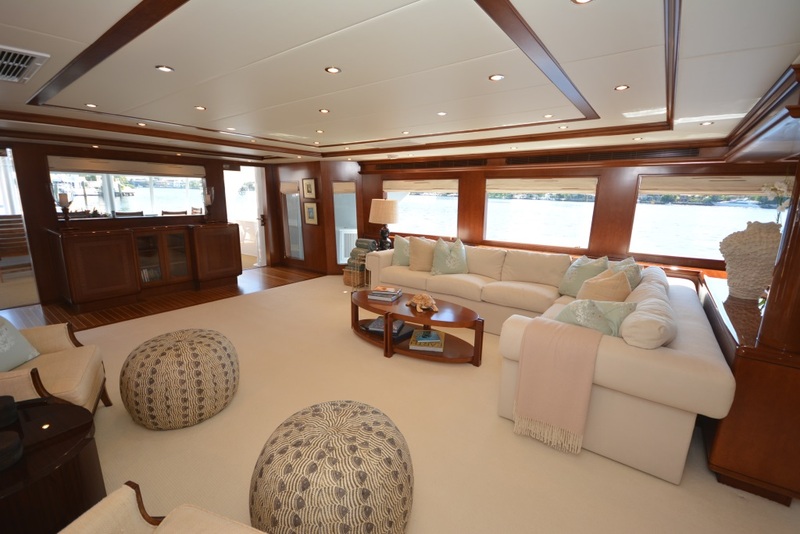 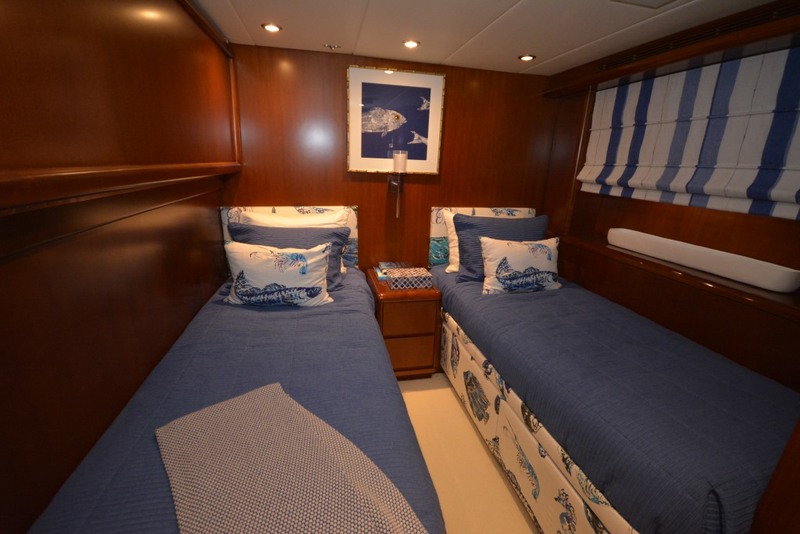 Good Times’s spacious interior layout sleeps up to 8 guests in 4 rooms, including a master suite, 2 double cabins and 1 twin cabin. 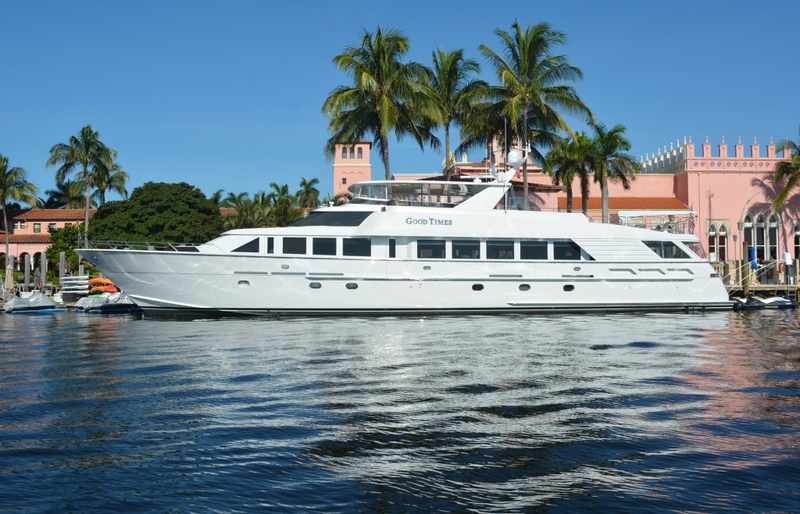 She is easily capable of carrying up to 5 crew members onboard to ensure you and your guests get the most out of your luxury charter vacation, making full use of all the amenities and leisure facilities onboard this yacht. 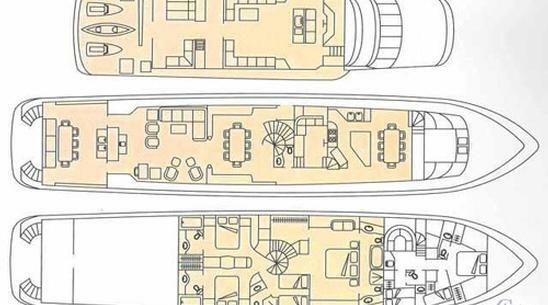 She is built with a GRP hull and GRP superstructure, and has a cruising speed of 23 knots, a maximum speed of 24 knots and a range of 850nm from 26,495litre fuel tanks. 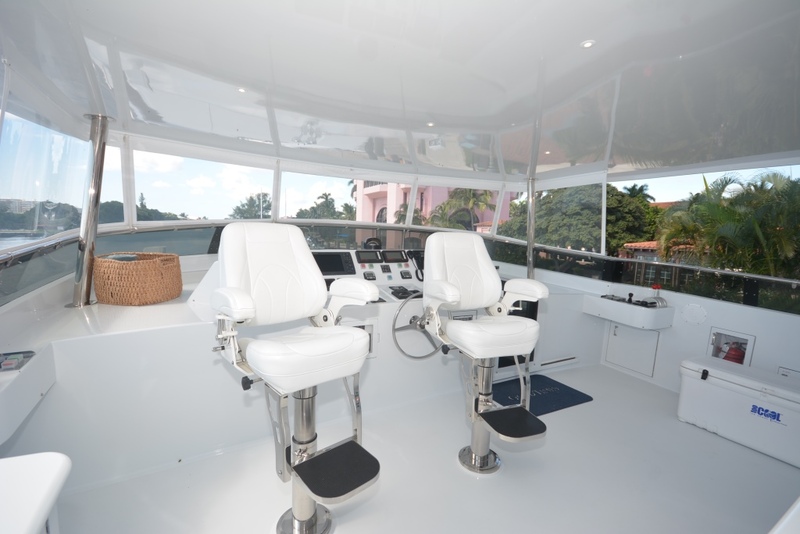 A portfolio of toys onboard include 2 x Waverunners, Towable Toys, Water-Ski, Snorkelling Equipment, Beach Games, Kneeboard, Wake Board, and Fishing Equipment, sure to keep guests of all ages entertained.